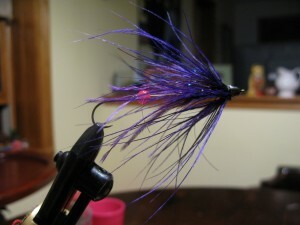 Flies for steelhead or lake-run trout are by far my favorite to tie. There is no “hatch matching” here. Each hook or tube is like a blank canvas open to reflect whatever mood or style of fishing you desire. 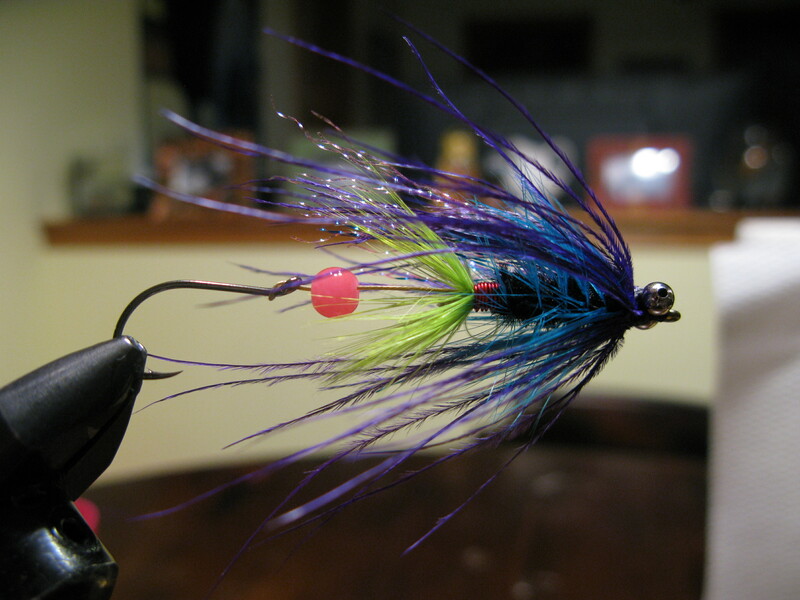 Bright colors and alien-like characteristics are encouraged with these flies. There is no need for emulating natural food sources for a fish that’s temporarily in a foreign river. The idea is to trigger an aggressive strike by choosing a fly of the right size, color, and that swims at the right speed. Also, you gotta have faith! If you start to doubt your fly or presentation you likely won’t be focused and fishing as effectively. Choose a fly you believe in and keep it in the water. These factors seem far more important than matching a food source. So have fun when you tie and fish with confidence!